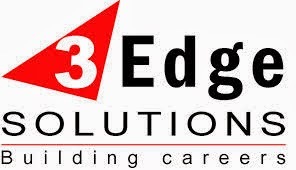 3Edge Solutions Walkin Drive For BE, BTech Freshers On 28th February 2014 in Chennai Location. Eligible candidates can directly walkin to the Chennai venue location.Please read the job description carefully before appearing for walkin drive in Chennai. The job role will be trainee systems engineer. Good troubleshooting skills and hands on knowledge in hardware maintenance. Basic knowledge of operating systems such as Microsoft Windows 2003 Server and XP. Basic Exposure to antivirus software. Quick learner and a self starter. Reasonable communication (spoken & written) and interpersonal skills. Ability and willingness to work in shifts (if required) and to work for long hours in order to complete the assigned task. A person who will not hesitate to do mundane jobs. Regular maintenance, shifting and safeguarding of hardware including PCs, Notebooks, Printers, Scanners and ensuring smooth working of all the above. Assistance in maintaining and updating the inventory of Hardware, Software, antivirus, firewall and OS available. Installation of various software and operating systems as and when required. Troubleshooting and problem resolution of systems. Creating lab set up according to client requirements. Doing any other jobs relevant to departmental activities that are assigned by seniors time to time. Walk in Date: 28th February 2014.